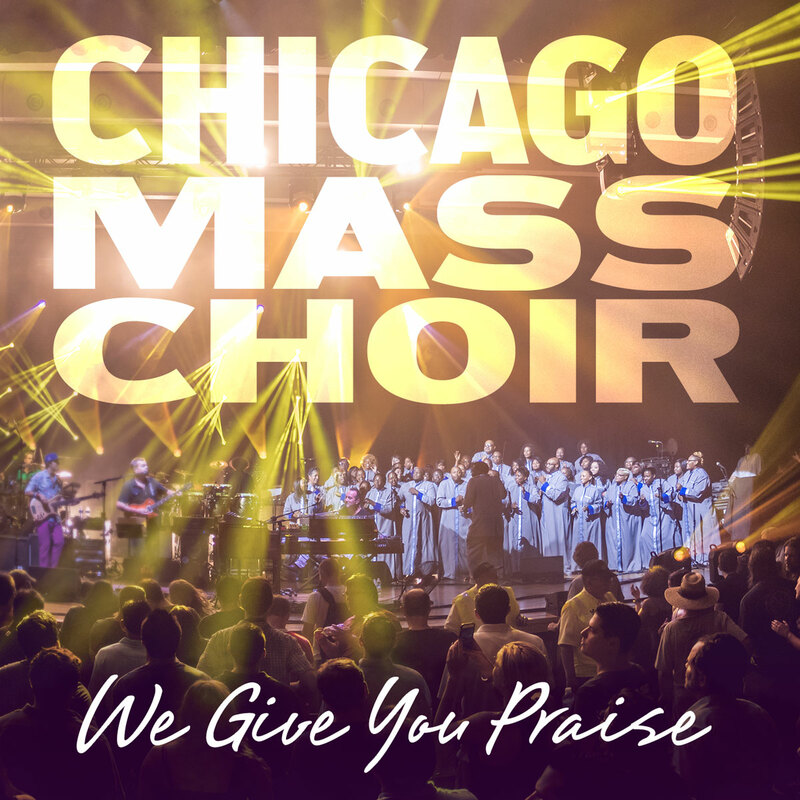 With the soulful force of a traditional gospel choir and a heart filled with Praise & Worship, the Chicago Mass Choir® has thrilled audiences around the globe with its penetrating vocals, dynamic musicianship, and stirring messages of hope and encouragement. The Chicago Mass Choir® has had no less than sixteen albums reach the Billboard gospel charts. It has garnered two Grammy, three Dove, and more than ten Stellar Award nominations. In 2015 and 2012, the Chicago Music Awards named it the city’s Best Traditional Choir. The group has appeared on several nationally-syndicated television programs, including BET’s Bobby Jones Gospel and the Allstate Gospel Super Fest. In 2003, the choir sang “Pressing On” for the Grammy-nominated album, Gotta Serve Somebody: The Gospel Songs of Bob Dylan. Unable to be confined to Chicago or even the U.S., the Chicago Mass Choir® has for the past eleven years served as an unofficial ambassador for gospel music, touring Canada and Eastern and Western Europe. “Life changing” is an apt way to describe the Chicago Mass Choir®, because it is not only a singing group, it’s also a giving group. Throughout the year, the choir sings at nursing homes and volunteers at local nonprofits. The choir has contributed to worthwhile causes, such as the AIDS Foundation of Chicago, the American Red Cross Haiti Relief Fund, the AVON Walk for Breast Cancer, LUPUS Foundation, and The Olive Branch Homeless Mission. Each year, the choir adopts a local public school kindergarten class and provide the children with school supplies. In the summer of 2017, Chicago Mass Choir completed a three-city tour of Texas (Dallas, Houston and Austin); which included a concert in Houston, Texas to support families that were impacted by Hurricane Katrina. Chicago Mass Choir provided a displayed family with a $1,000.00 donation to assist with their recovery from Hurricane Katrina. The 16th recorded project of the Chicago Mass Choir® entitled: We Give You Praise, was released in September 2016 and co-produced by Percy Gray Jr, and Jeral Gray, Sr. on New Haven Records. We Give You Praise charted in the Top 25 for Gospel Billboard. The choir received final nominations in two categories for the 2016 Dove Awards and is the recipient of the 2017 Stellar Awards for Traditional Choir of the Year. Chicago Mass Choir® is committed to giving their reasonable service for the gifts that God has allowed them to share through their ministry of gospel music.